No matter how well you’ve planned things, there are often unexpected surprises. Life is unpredictable, and you never know when you’re going to need fast cash. From medical emergencies to bill payments, you need a safe, speedy, and reliable way to get the funds you need. Still, banks are often quick to turn people down for loans, and credit cards tack on huge fees to borrow money. The fact is, you’re driving around with a source of income right now and might not even realize it. Read on to discover how Auto Pawn can help with current money concerns. Some places are notorious for lengthy loans. They’ll make you fill out endless paperwork, and then you have to wait weeks for a decision. What happens if they say no? You’ll have to start the whole process again elsewhere. Who has time for that? These days, lenders treat credit like it’s some sort of badge of honor. Don’t let people define you by your credit score. If you have bad credit or even no credit, you still deserve safe and legal options to get the money you need. 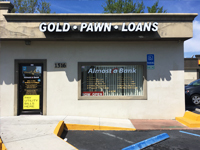 Well-known as one of the best Daytona Beach pawn shops, we take pride in treating every customer with respect. We offer fair deals, and our personable agents are always glad to answer your questions. The first step is to bring in your vehicle. For your convenience, we have three sites throughout Volusia County. That means you’re never too far from an Auto Pawn location. As mentioned, it’s impossible to plan for emergencies. That includes health scares, urgent home repairs, and more. You just never know when something might go wrong. Ignoring the problem usually makes things worse. That’s when it makes sense to visit your nearest pawn shop. Maybe you or a loved one has recently lost a job. Auto Pawn can help fill the financial gap until new work is secured. You might have rent, mortgage, utility bills, or other expenses due. Don’t risk late payments and damaging your financial reputation. Reach out for assistance today. Losing a loved one is a traumatic and emotional event. No one deserves the stress or worry about how to pay for memorials and burial service. That’s why it’s comforting to know that help is available. When you bring in your vehicle in good working order with a clean title in your name, you can quickly get the funds you need to fully honor your loved one. 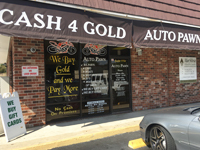 In addition, Auto Pawn offers more cash for gold than other shops in the area. Sometimes you’re not facing any crisis or financial trouble at all. You just want and need fast cash. Whatever your reasons, it’s nice to know that your vehicle could be the source of reliable income. Simply stop by any of our three convenient Volusia County locations. Make sure to bring your vehicle in good working order with a clean title in your name. Our friendly and knowledgeable team members will immediately get to work on determining what we can offer. 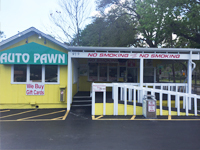 Over the years, we’ve built a solid reputation as a premier Orange City pawn shop. We’d love to do business with you. Call us for more information, or drop by any of our locations today.